We help you with all the steps needed to start your self-employed business in Canada. 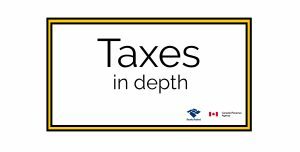 Name selection, tax planning, taxes that will be due to your business segment, and Canada Revenue Representation are among the services we provide. We help you select the best cloud accounting software for your business needs and budget. We set up all charts of accounts, sales taxes – GST and PST, products and services, and we explain to you and your staff how the software works. Monthly registration of all transactions that financially affect your business. Reconciliation of bank and credit card accounts, and GST, PST, and WorkSafe return filing. Upon receiving your employees’ hours worked, we prepare all paychecks and send them back to you. We send the remittance report monthly so you can pay the remittances on time. We also prepare and file your business’ T4s. At the end of the year, we prepare all adjusting year-end transactions and prepare the income statement for your business, which will be the base of your income tax return. Preparation and filing of T1 – Income Tax Return (for self-employed individuals) – based on the income statement. In the event that CRA audits your return we will be available to represent you and act as your representative during the entire process. Click the button on the right. All information you need in one place.